In 1977, Summit was formed by Peter Ford and Tom Simpson, operating from small premises in Tring, Hertfordshire making tubular, steel framed chairs and tables: hardy, functional furniture for education and commercial environments. 1982 we started producing typist chairs; swivel chairs with height adjustable seats and backs. It was the start of chairs which put the user in control of their environmental set up. 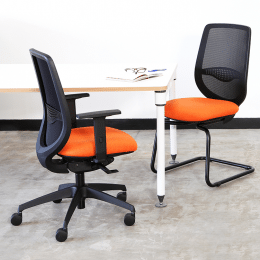 This evolved to operator chairs- a progression with the addition of seat and back angle adjustments and increased comfort. The business continued to grow steadily until 1985 when, taking advantage of the Rural Development Commission’s initiative, the firm decided to go west. Land was purchased in idyllic Bradford On Avon and we built a factory. Over the following 28 years we extended, knocked through and developed this factory until it filled the plot and could expand no more. 1991 awareness was growing around the ergonomics of sitting. We poured our resources into studying healthy sitting and achieving a range of task chairs which would adapt to individual metrics supporting healthy, comfortable working. 2000 the turn of the century brought a new focus on the education market. 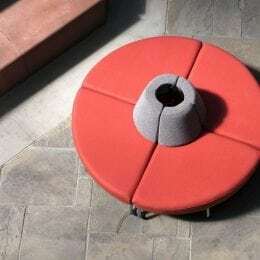 Schools and colleges were becoming more student-comfort orientated and offering more flexible soft seating for their common and meeting rooms. We responded with a suite of sofa and pouffes which combined our expertise for durable, long-lifetime value furniture and comfort. 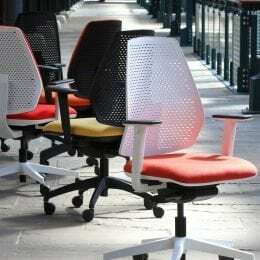 2008 the Inflexion was conceived; one of our best selling task chairs to date. 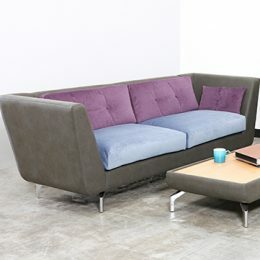 The Inflexion is classically proportioned with exceptional comfort and functionality. It’s one of the first task chairs we developed with 2 options of mechanism and we’re very proud that it features in many a BBC drama. In 2013, without dropping a day of production, we moved to a new and impressive 45,000 sq foot factory HQ in Trowbridge, Wiltshire. The whole team wondered what we were going to do with all the space. But not for long. 2014 saw the introduction of a new Operations Director to Summit and a comprehensive review of how we ran pretty much every aspect of the business. With a shiny new ERP underpinning every function, we were well positioned to intensify our research and development activities. 2017 Furnishing the forward-thinking: we’re launching a lot of new product to support the agile office space, enhanced productivity through ergonomic design and inspiring aesthetics. In our 40th year, Summit is a company proud of its heritage and looking forward to its future.